It’s safe to say that Anthony Smith is not a fan of Luke Rockhold. If he is, he sure has a weird way of showing it. While Smith and Rockhold have actually never fought inside of the Octagon, their feud is quickly boiling over outside of it. “Lionheart” certainly hasn’t been innocent in his verbal exchanges with the former UFC middleweight champion, but Rockhold ultimately struck the first blow late last year when discussing Smith’s abilities at light heavyweight. Since those comments were made, Smith has gone on to lose to current light heavyweight champion Jon Jones in his first ever UFC title shot back in March and Rockhold has announced his official move up to 205 pounds. 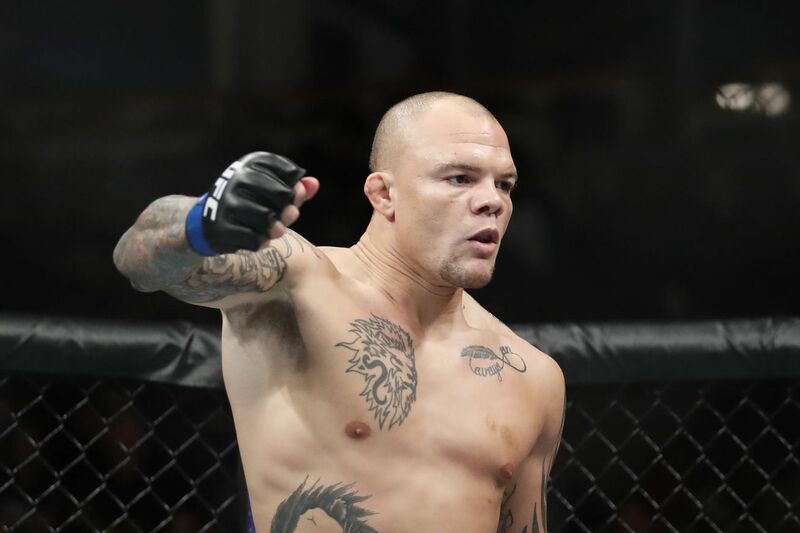 Now that they are in the same weight class and seem to be lining themselves up for a potential showdown inside of the Octagon, Smith is turning the heat up. Smith, who would gladly scrap with Rockhold inside of a Walmart, is currently scheduled to fight former title challenger Alexander Gustafsson this June at UFC on ESPN+ 10. Even though a win over Gustafsson could put “Lionheart” one more win away from a rematch with Jones he’s willing to cast that aside for a grudge match with Rockhold. Rockhold, who is coming off a disappointing knockout loss to Yoel Romero back at UFC 221 last year, is currently slated to make his 205-pound debut opposite divisional staple Jan Blachowicz at UFC 239 this July, which is an event expected to be headlined by a Jon Jones vs. Thiago Santos title fight. Should Rockhold get past Blachowicz and back into the UFC win column it would make complete sense for the promotion to book the grudge match with Smith. Of course, a loss for either man would likely cancel out a potential clash inside of the cage. What say you, Maniacs? Is Smith vs. Rockhold a matchup you want to see at 205 pounds? Who has the early advantage? 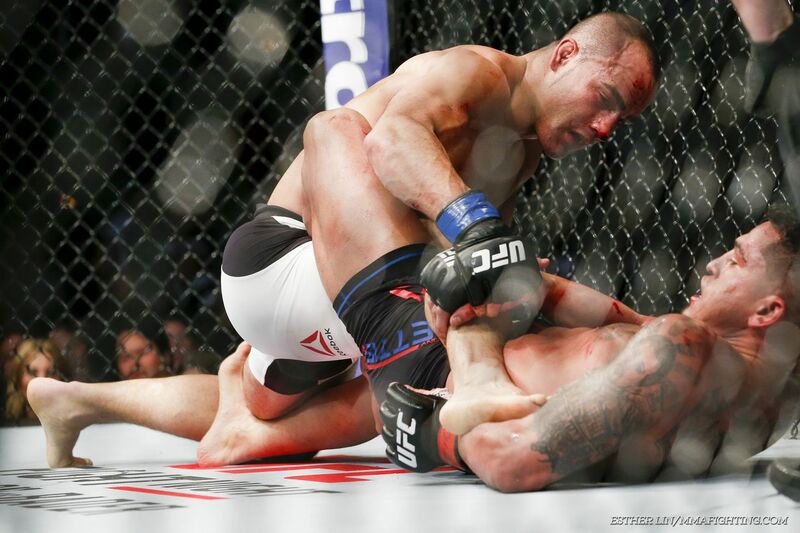 Eddie Alvarez knew he had the blueprint to beat Anthony Pettis. It was just a matter of implementing it. Alvarez outwrestled and out-pressured Pettis to capture a hard fought split decision over the former lightweight champion at UFC Fight Night 81. While the fight itself didn’t provide the type of fireworks many expected, it got the job done, as Alvarez pushed his name to the forefront of title conversation by picking up the biggest win of his UFC career. “I’m my biggest critic, before anyone,” Alvarez said at Sunday night’s post-fight press conference. “I don’t need anyone to tell me what I should’ve done. I want to be more exciting, trust me. But I’m not [fighting] guys who are ranked 25 and 30. Alvarez (27-4) followed the same past strategy employed by both Clay Guida and Rafael dos Anjos, forcing Pettis off his rhythm with a steady diet of takedowns and forward pressure throughout the three-round fight. The plan worked, as Alvarez scored with six of his 15 takedown attempts and spent large chunks of the bout pinning Pettis up against the fence, even despite Pettis’ decision to bring in famed wrestling coach Israel Martinez in the lead-up to the contest. Still, it wasn’t easy. Pettis gamely stood in the pocket and countered and traded when able, forcing Alvarez to place his fate in the hands of the judges for the third time in as many UFC fights. “I didn’t see a split decision going in,” Alvarez said. “I’m the type of fighter who assumes I lose every round. I need my coach to tell me how I did. But that fight in particular, when I went back after the third, I assumed that I won the fight. So to see a split, that was a little shocking for me. A former two-time Bellator lightweight champion, Alvarez now finds himself at the precipice of a UFC title shot after just three fights in the organization. His road hasn’t been easy, either. Alvarez has tested himself against Donald Cerrone, Gilbert Melendez, and Pettis—all three of whom have either held the UFC title or challenged for the belt. His two victories over Pettis and Melendez are among the most impressive in the division on paper, and with the lightweight class now in limbo until dos Anjos meets featherweight champion Conor McGregor on March 5 at UFC 197, Alvarez is in position to be in a good spot once the dust settles. “When I signed with Lorenzo (Fertitta) and Dana (White), I simply told them that I would like the best guys that you guys have in the division,” Alvarez said. “I didn’t want top-15. I wasn’t trying to look to show the fans something that I wasn’t. I wanted the best guys. The post Graphic: Joe Riggs Shows Off Gunshot Wound, Gaping Hole (Video) appeared first on Caged Insider.